I’m still counting it as Christmas because we haven’t had New Year yet, so in the spirit of Christmas, I wanted to squeeze in one last festive-themed post before I have to accept its all over for another year! This market is described as being in one of the most beautiful squares in Berlin, and I can definitely confirm that to be true. The setting for this market is just stunning. It does cost the grand sum of €1 to get in but its a Euro well spent! It’s a perfectly sized market as it isn’t too big or too small, and has plenty of stalls for all your food and shopping desires. We arrived at around 4pm and it wasn’t too busy, but I would recommend getting there as the sun starts to set because it’s the most beautiful lighting as the day fades and it becomes night in the market. The only problem is once you’ve been to this market, you want them all to be this good! Another favourite was the market outside Charlottenburg Palace (or Schloss Charlottenburg), this was a pretty huge one, with so much to see and eat, we could hardly make head nor tail of it! This one doesn’t cost you to enter, but again is set in the most gorgeous place with Schloss Charlottenburg as the backdrop. The food and drink is also incredible here, there’s so much to choose from! The only problem was we saw people walking past us with the most amazing looking food but we had no idea what it was called to buy it from the menus! There’s also a ridiculous amount of indoor and outdoor stalls selling all the Christmas market type goodies you can think of, and even a mini funfair area for the kids! The final one of my top picks is one of three around the Alexanderplatz area. We visited two of them, and this was so much better than the second one we saw, in my opinion. There was also a third in the area but that was mainly funfair rides like rollercoasters and ghost trains instead of the German markets trinkets stalls and food as the focus. This market was again all about the stalls selling food and decorations etc, but also had the addition of an amazing Ferris Wheel! I really wanted to go on it but we were running out of time, it’ll have to be on my must-do list for my next visit! There’s also an ice skating rink at this one that we wanted to have a whizz round on but again we didn’t have time *weeps into sleeve*. Yet more reasons why I need to go back again at Christmas time! If you fancy researching a few more, I found this website super helpful. 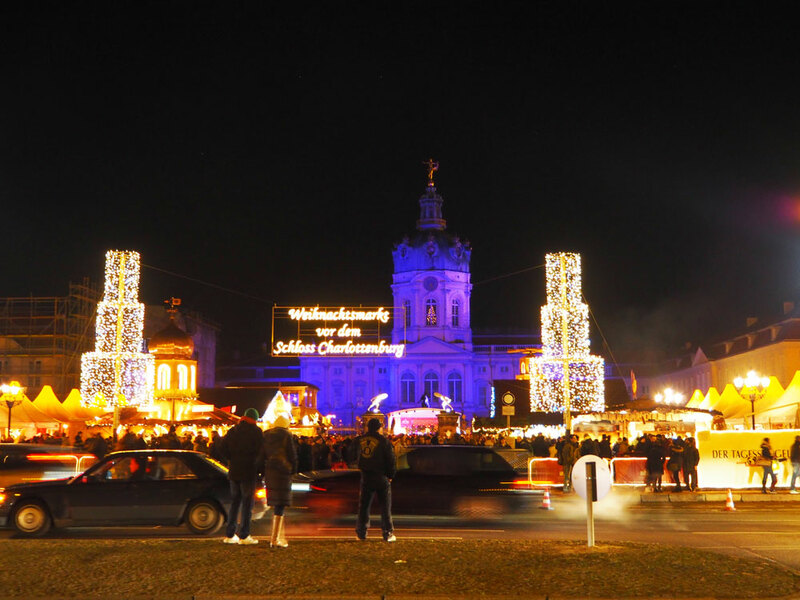 As many of the markets have sadly closed for the year, there doesn’t seem to be that many on the page anymore, but if you make a trip any other year then make sure you check that website to find out all about the Christmas markets open that year! 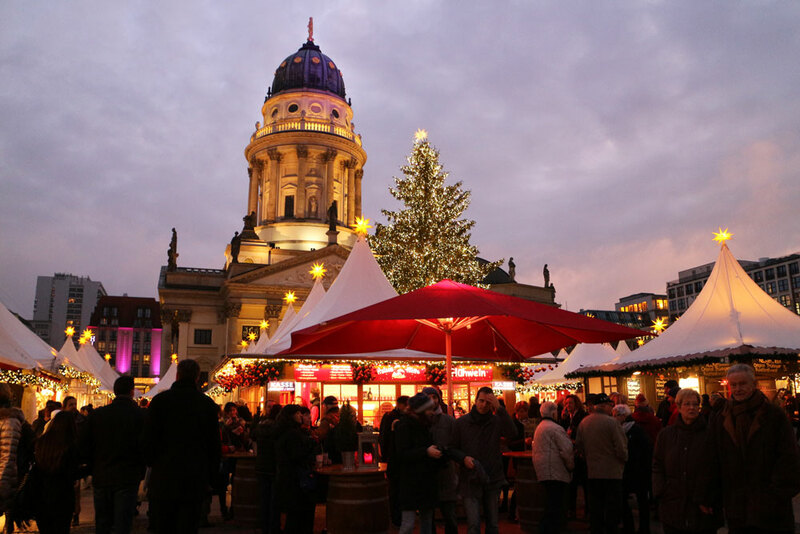 We were really surprised at how cheap all the food and drink seemed to be at the Christmas markets, so so so much cheaper than the copycat markets you would get in London, so don’t be worried about making yourself broke by trying out the delightful delicacies in terms of food and drink. That is unless you drink the bars dry of mulled wine, but each to their own! Also, one last thing I wanted to mention is that the most of the markets we visited serve their drinks in mugs created especially for the year and the particular market. You have to put a deposit down of usually €3 or €4 to use the mug, but then you can get your money back by returning the mug, or leave your deposit and take the mug as a souvenir, how awesome is that! 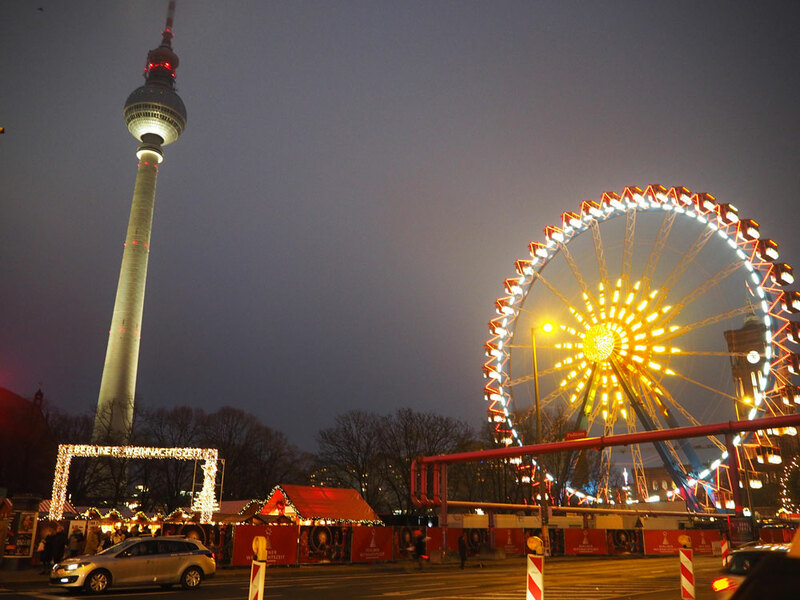 Berlin, you and your Christmas markets have won my heart, I will be back! Next Post Oh Hey 2016!